Dammit. When I am wasted debating my alcoholism I always fall back on 'Well at least I'm not addicted to crack...look at Winehouse." Now that the bottle killed her I am going to have to come up with a different excuse. So annoying. 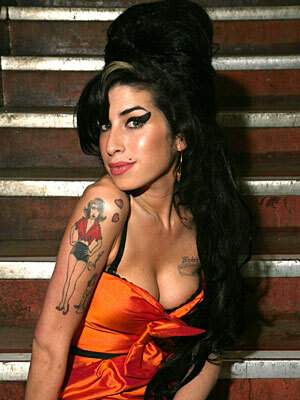 As it turns out, Amy Winehouse did not die from a drug overdose or from withdrawals...she died from 'misadventure' and had 5 times the legal limit of alcohol in her system (2 bottles of vod and a mickey in her syst.). I'm sorry, is there a legal limit for getting trashed at home by yourself? Is this what Amy broke? It is always sad when someone young dies. It just goes to show how dangerous alcohol really is.